A work of informed imagination — combined with far-ranging plans for the city — shows Lakeland’s downtown bridging the Florida Avenue chasm, bringing business to a new urban corporate park, crossing into an expanded entertainment area and, most of all, going up. 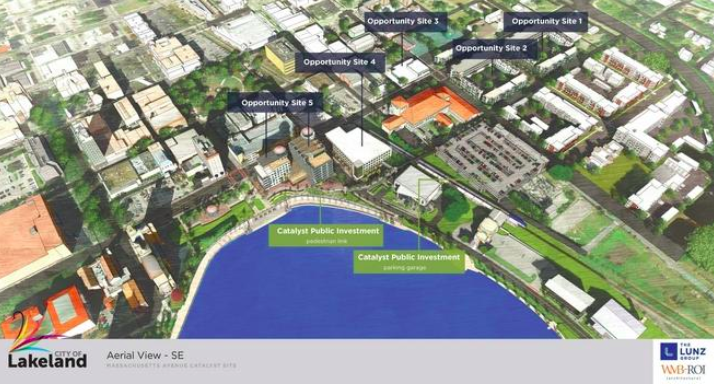 “Envisioning a Better Downtown,” a presentation combining geographic data with professional architects’ renderings, is clearly aspirational, but it’s a window into what city leaders today want for the Lakeland of tomorrow. Image courtesy of the City of Lakeland and the Lakeland Ledger.